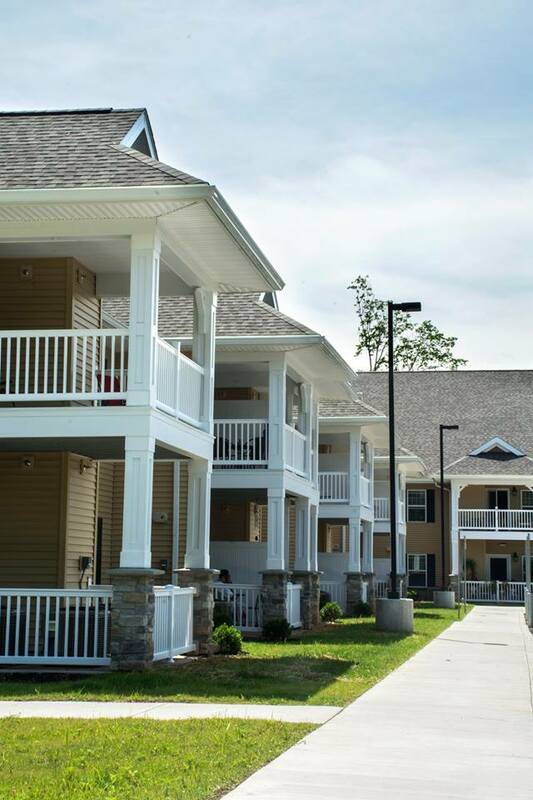 Maple Avenue Apartments & Elmira Senior Living, Elmira, NY – Landsman Development Corp. Maple Avenue Apartments & Elmira Senior Living – CDS Housing, with the support of AIM Independent Living Center, is building a 50 unit apartment complex to meet the growing need for affordable senior housing in Elmira. The building will offer one bedroom apartments, with 10 being developed for individuals with developmental disabilities. Maple Avenue Apartments & Elmira Senior living will have on site amenities such as a community room, fitness center and walking path. Applicants must meet eligibility criteria, including being below the maximum allowable income, which is dependent on unit size and type. Occupancy Requirements: Seniors age 55 and older, people with intellectual and developmental disabilities and veterans. With over forty years of real estate experience, Landsman Development Corp. and its subsidiary companies, Landsman Real Estate Services, Inc., and Landsman Building Services Group, Inc., have become a one-stop shop for commercial and residential real estate needs. © Landsman Development Corp, Inc. All Rights Reserved.